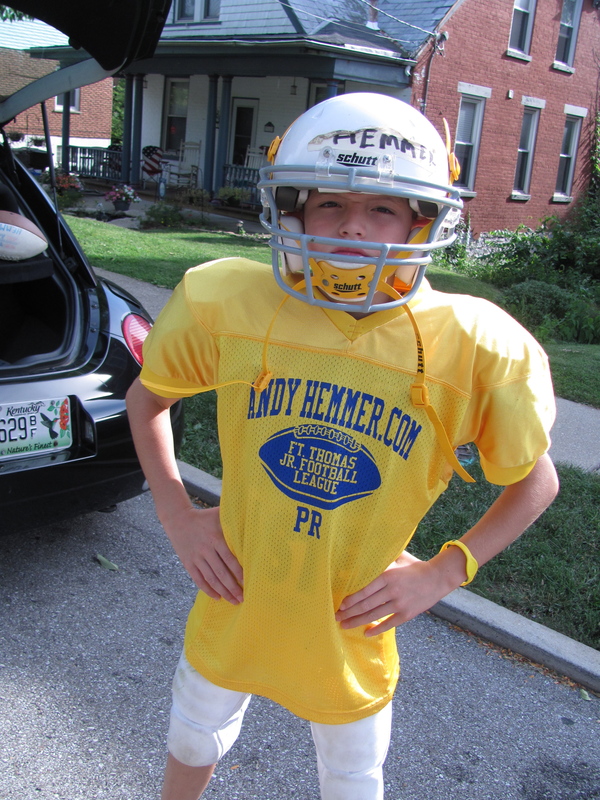 The Goldies of the Fort Thomas Junior Football League now improve to 2-2 – next game Oct. 1 vs. The Red, at David Cecil “Don’t Call It A Comeback” Memorial Stadium. Gotta love that Sponsor Jersey!